A bed bug is only about the size of an apple seed and, while an initial bite often goes unnoticed, repeated bites can cause itchy welts that get worse with continued exposure. A single female can lay 540 eggs(!!) in her 6 to 12 month lifetime, so missing even one or two bugs can give the pests the upper hand. In residential rentals, landlords/owners bear primary responsibility for combating bed bugs – it makes sense and, pursuant to a wide-range of rules and regulations, it is the law. Our San Francisco bed bug lawyer helps renters when landlords fail to live up to this obligation. 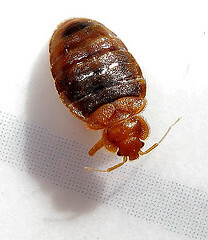 There are many reasons why landlords/owners/management (unless otherwise noted, references to “management” includes all three groups) should be and legally are required to take the lead role in exterminating a bed bug infestation; notably, this duty frequently includes engaging and paying for a professional extermination company. In the legal system, “mandatory” authorities, which can range from federal and state laws to local regulations, must be followed and would control if a dispute reached the courts. There are also “persuasive” authorities, a big group that might include a law from another state or even scientific research. Courts are not required to follow persuasive authority and mandatory authority would trump conflicting persuasive rationale, but courts often use persuasive authorities to support their decisions. See also Green v. Superior Court (“modern conditions compel the recognition of a common law implied warranty of habitability in residential leases.”) and California Civil Code 1953 (a lease cannot waive a statutory right). HUD Policy (mandatory or persuasive based on situation) – This 2012 Memorandum applies to HUD-assisted and HUD-insured rental housing. It requires that management “respond with urgency to tenant reports of infestations…[and] endeavor to take appropriate action within a reasonable time period.” Tenants are expected to cooperate with reasonable extermination efforts and to allow a reasonable time for response. San Francisco Health Code (mandatory within San Francisco, persuasive elsewhere) – The Code requires that managers develop policies and provide employee trainings on bed bug issues. Managers must obtain pest removal companies to verify complaints and eliminate bed bugs in units and common areas. Tenants must take reasonable steps to cooperate in these efforts. Pestworld (the website of the National Pest Management Association) and a study in the Journal of Economic Entomology — While only persuasive authority, these references explain that infestations commonly spread to multiple units in a multi-unit dwelling. Therefore, an effective treatment regime must include inspecting and, where necessary, treating surrounding units. Management is in a better position to provide this effective treatment than individual tenants would be. We’ll be the first to admit — the law doesn’t always follow common sense. In the case of bed bugs, however, it does. Landlords in California are required to respond to complaints about bed bugs by investigating the problem and, if bed bugs are found, effectively exterminating them. In most cases, this means engaging a pest control professional who will, with the cooperation of tenants, take an approach to extermination that reasonably protects all residents against the current infestation and repeat invasions. If your landlord, property owner, or other management personnel fail to provide a timely and effective response to bed bug concerns, call our Northern California bed bug law firm in Oakland, San Francisco, or Santa Rosa. We can assist renters elsewhere in the state on a case-by-case basis. A quick note: Often, tenants gain power when they band together. In some cases, it may be appropriate for tenants to bring a class action against building management. Call to learn more. Attorney Brod is also available to address tenant groups on bed bug issues and other residential landlord/tenant matters.